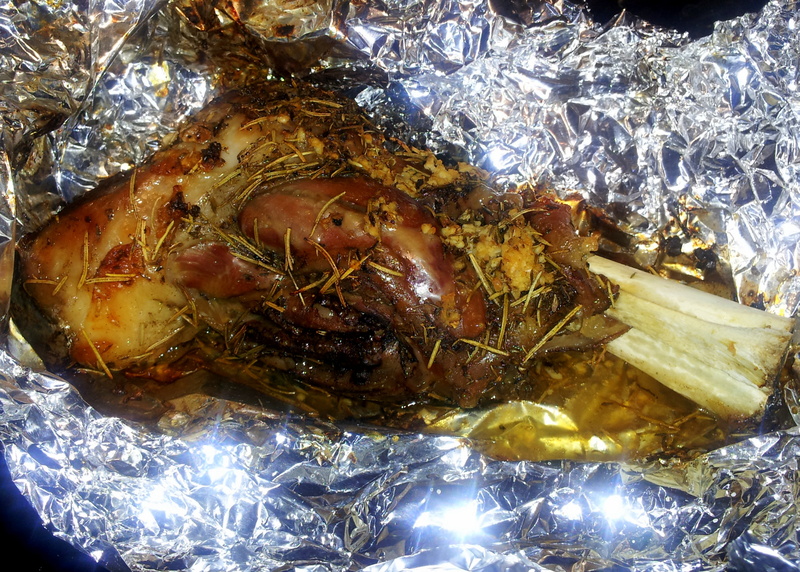 Combine all coat lamb shank with all ingredients. Wrap in aluminum foil. Bake at 325F for 60 minutes. Remove foil for last 5 minutes of cooking to brown. (4 servings, 383 cal per serving) Serve with mashed rutabagas and roasted asparagus.